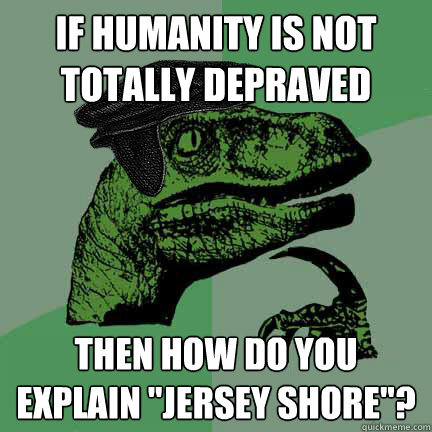 If humanity is not totally depraved then how do you explain "Jersey Shore"? 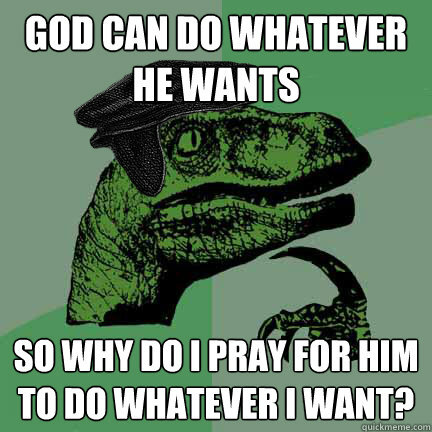 God can do whatever he wants so why do I pray for him to do whatever I want? 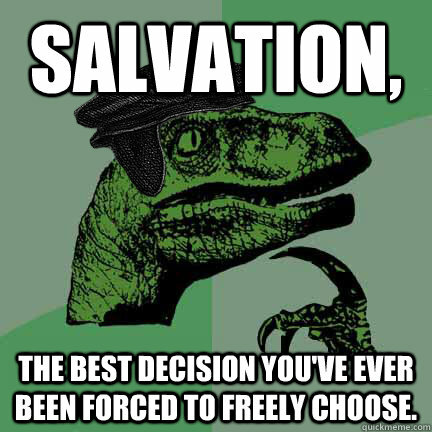 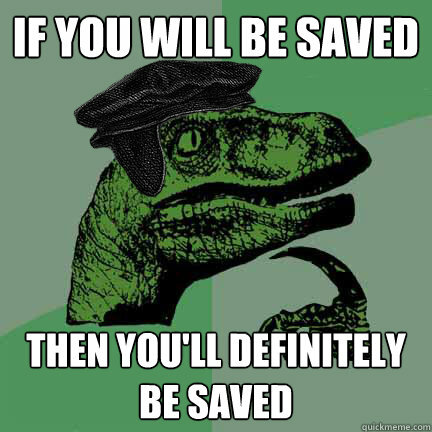 Salvation, The best decision you've ever been forced to freely choose. 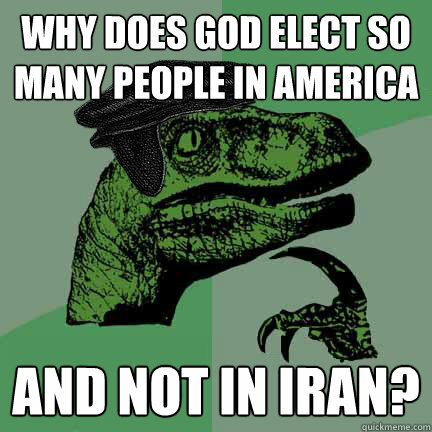 Why does God elect so many people in America and not in Iran? 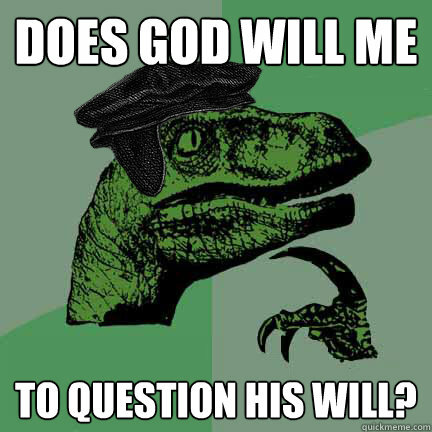 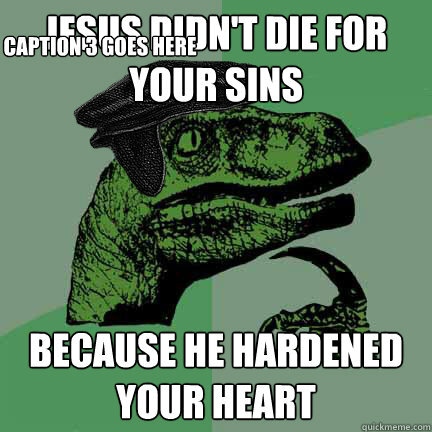 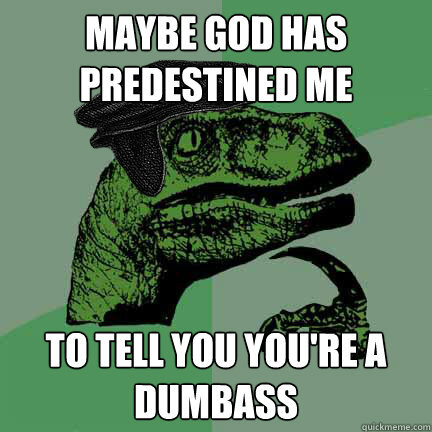 Does god will me to question his will? 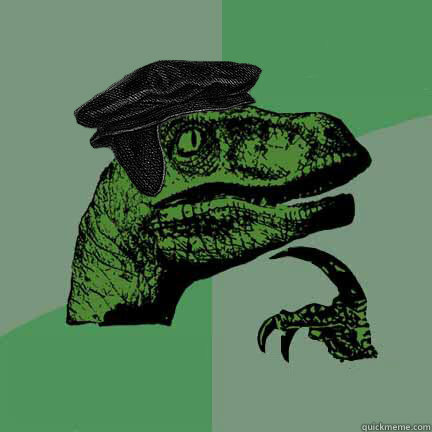 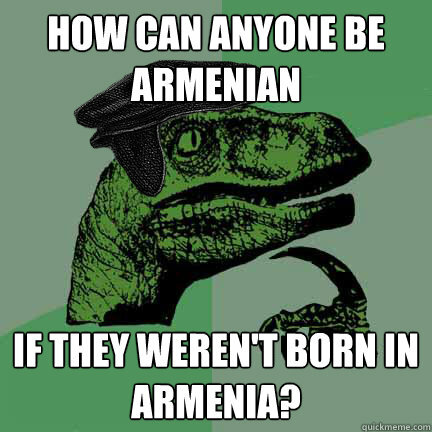 How can anyone be Armenian if they weren't born in armenia?